ChooseMyBicycle.com along with Toffee Insurance is proud to introduce Bicycle Insurance Online. Toffee is insurance for the new-age: simple, digitised policies built to fit your lifestyle. We cut out the headache of insurance because large, in-comprehensive policies with vague inclusions and tons of exclusions should be a thing of the past. We’ve created jargon-free, no nonsense insurance customised for millennials’ lifestyles. Toffee insurance for bicycles available for sale on ChooseMyBicycle.com, come in 3 different variants, each variant covers brand(s) and comes along with areas that are covered (Inclusions) and areas that are not involved in the insurance (Exlusions). Bicycles purchased from ChooseMyBicycle.com that involve bicycle brands that belong to Track & Trail Brands, are covered in this variant. This insurance is otherwise called as Toffee by Chola MS. This insurance comes with its set of Inclusions and Exclusions. If you would like to have more information about this insurance, please connect with our Insurance Expert. Call +91-98402-62965. What should the age of the person be, to be eligible for the Cyclist Toffee? The insurance policy can only be bought by a person between 18 and 75 years. Can the claim be filed by a person other than the name of person mentioned in policy? The claim has to be filed by the same person, whose name is mentioned in the policy document. Only in the case of death or disablement of the insured person, their appointed nominee can file for the claim. If the nominee is not available, then anyone who is the closest relative can file for the claim. If the date of birth on the policy document is different from Aadhaar will the claim be rejected? At the time of claim the date of birth on the policy document has to match the Aadhaar card. Otherwise the claim will get rejected. The policy document should be carefully checked after it is issued. An incorrect date of birth can be changed anytime on the policy document during the policy period, but before a claim is filed. Is Aadhaar mandatory for issuance of policy? Aadhaar or any other identity proof is mandatory at the time of policy purchase. Aadhaar is the preferred document, as it will also speed up the claim process. If Aadhaar is not available at the time of policy purchase, a copy can be sent anytime within 7 days. If a person does not have Aadhaar at all, then a PAN+Voter ID is also acceptable. Does a separate insurance need to be purchased, in case a person is buying more than one cycle? Yes, a separate insurance need to be purchased for each cycle. Therefore, for each insurance policy to be issued, a separate invoice for each cycle would be needed. If a person holding insurance dies, what would be the status of insurance policy? The insurance policy can be transferred to the person’s nominee or closest relative by calling Toffee Insurance. 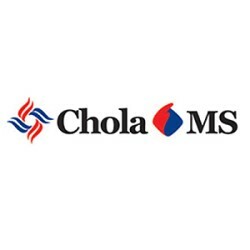 The relevant documents would be required as mandated by Chola MS.
Can the insurance policy be transferred to someone else? The insurance cannot be transferred to another person, other than in an event of death. Can a person who purchased the cycle from “X” dealer, go to “Y” dealer for damage claim? Yes. Any authorised Track & Trail Brand Dealer can facilitate a cashless claim for an accidental damage. A person won’t be reimbursed for expenses incurred from repairing the cycle by an unauthorized Track & Trail Brand Dealer. Can the insurance policy be bought by a non-Indian citizen? No, only Indian citizens are eligible to buy cycle insurance. Bicycles purchased from ChooseMyBicycle.com that involve bicycle brands that belong to Hero and Firefox, are covered in this variant. 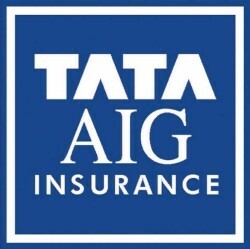 This insurance is otherwise called as Toffee by Tata AIG. This insurance comes with its set of Inclusions and Exclusions. Can a person who purchased the cycle from “X” dealer, go to “Y” dealer for damage claim? Yes. Any authorised Hero or Firefox Brand Dealer can facilitate a cashless claim for an accidental damage. A person won’t be reimbursed for expenses incurred from repairing the cycle by an unauthorized Hero or Firefox Brand Dealer. Bicycles purchased from ChooseMyBicycle.com that do not involve bicycle brands mentioned in the previous 2 variants, are covered in this variant. This insurance comes with its set of Inclusions and Exclusions. Can a person who purchased the cycle from “X” dealer, go to “Y” dealer for damage claim? Yes. Any authorised Brand Dealer can facilitate a cashless claim for an accidental damage. A person won’t be reimbursed for expenses incurred from repairing the cycle by an unauthorized Brand Dealer. Please note that these details are subject to change. Make sure to get in touch with a bicycle expert if you would like to get updated information pertaining to this insurance.